Jack is a Watcher, which is a sentient being in animal form that is completely aware. Jack is not the only Watcher as there are innumerable Watchers all over the Earth both wild and domestic. Their purpose is and has always been to guide and steer humanity as well as protect humans that are vital to the Greater Good. 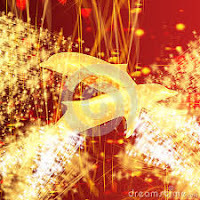 Since the Revolutionary War, the Watchers purpose has been to assist in the coming Ascension of the Earth and beyond. 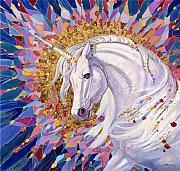 The Unicorn energy was introduced into our realm on June 20, 2015 and during this time, Gaia experienced a time shift. I am pleased to report that The Unicorn energy is here to stay. The Unicorn represents and embodies Magic. Magic is nothing more than the realization that the manipulation of energy is not only possible but real. No longer subjugated to realm of the imaginary and far from reach, Magic is now at our fingertips. I have previously mentioned and William echoed, that one must be mindful of their thoughts, words, actions and feelings but now this must be grasped more closely and taken more seriously. Connections are opening and the knowing, realization and understanding that we All are connected is now being forged. To not only stand in this Light but be one with this Light with integrity, honor and willingness must also be present. The Unicorn energy is far different from anything that we have experienced in the recent past and will require much time to adjust and acclimate to. For the individual, they may experience physical, emotional and mental undulations as well as clumsiness. Fleeting feelings of disconnection and being out of sync with the outside world will also be pervasive this month. During this time, the Unicorn energy is being uploaded and assimilated. For those who are carrying the Unicorn energy signature, July will be unsettling as they and those around them adjust to this higher frequency energy. The Unicorn energy is, for all intents and purposes, ‘new energy’ as the likes of which we have not witnessed for millennia. To say it is a powerful energy would be a misnomer, it is merely far different than anything we have experienced in the recent past and our physical bodies need much time to assimilate and adjust to it. It is not just humans that are grounding, acclimating and assimilating this energy; all Kingdoms of Creation are participating. This month of July offers a far ranging experience for the individual but for All it marks the Dawn of a New Time. In the years to come, one will look back on the Now as being pivotal, meaning July 2015 was one of the moments in Time’s History that signaled true and lasting change. During this month some will experience July as a tumultuous period as energetic, emotional and physical clearing will be ongoing. The digestive system will be targeted as anger is being released from the depths of the soul (Gaia too is releasing energy from deep within). Just as Gaia is constructed of layers of Rock, Earth, Minerals and Waters and each must be systematically cleansed, so must the layers of the individual be cleared. Keep in mind that some layers are more dense than others, containing deeply guarded talents, wisdom and abilities that were once too out of alignment with the outside world to share. In previous lifetimes, one was subjected to unspeakable means for sharing their healing capabilities. These memories have been embedded within your cellular memory, along with the dread connected and imposed upon your Light. Being different from the rest and the accompanying recollections of imprisonment, or worse, have coated your Light and muddied your waters in fear. Although the Tethers of Service were released earlier this year, The Legion of Light still has obligations connected to the Greater Good. ‘Clearing on behalf of the Collective’ has now taken on new meaning. The long awakened have now reached a state to which clearing is now almost self perpetuating. They are now working on behalf of the Greater Good as a whole, no longer shackled by redundant individual cords and contracts of the newly awakened. 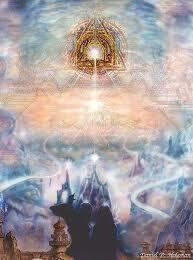 It is important to realize that for the last multiple decades, there have been many beings who have come into this realm to assist with Ascension, encompassing all Kingdoms of Creation. Their numbers, the awakened, have now reached multiple 10’s of thousands and this is vital for our evolution. The more beings on board the ship, the smoother the waters are to sail. 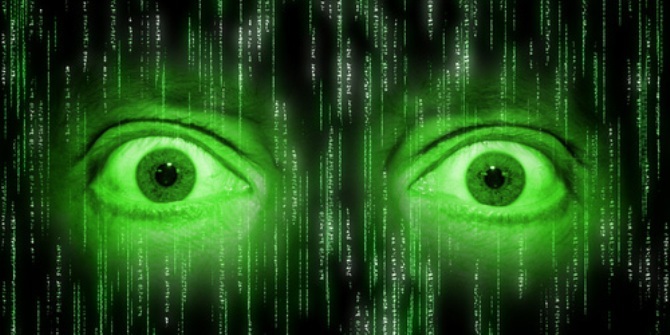 For the last multiple decades (10-20+ years), many Lightworkers have been cloaked by the old Matrix (Good guys finish last…. No good deed goes unpunished, etc…) arguably, for their own protection. This would explain why life seems to have forgotten many of you. You may have perceived this time as though life was punishing you or passing you by but you carried on, nonetheless, with integrity and honor. Having worked diligently, tirelessly and honorably-holding true to your heart-is now coming full circle. If you were born in the mid part of the last century (1940’s to 1970), now is your time of validation and connection. Those who are in alignment with your work, your voice and your message have now awakened and are now looking to mature souls to light their way. Your gifts, talents and wisdom are now ready to be dusted off and used again having been left in the darkness for much too long. What is Right an True will now begin to flourish and what has not been in alignment with your Heart will now begin to fade into oblivion. Rejoice, my friends. A Dawn of a New Age is upon us. Continue to fuel its creation with Love, Compassion and Kindness. “Do unto others as you would have them do unto you”, the ultimate statement of empathy, is now coming into being. I express my deepest and most heartfelt Love to All of You. You have allowed an outlet for the Watchers to not only speak but most importantly, to be heard. Jean is now thinking of Helen Keller and I agree, this is a perfect analogy. Born Blind and deaf, Helen Keller was a highly intelligent being trapped within a body that was unable communicate by conventional human expectations. Therefore, she was labeled ‘dumb’ and initially viewed by her family and most of humanity, as being a lesser being. Until she learned to communicate by their rules, was she heard. Gratitude, Blessings and Love to All. For without YOU, the Watchers and all the silent beings who have a voice, would not be heard. Gratitude reigns supreme in our Hearts and Souls to You. Although at least one of the Watchers that lives with me always lends their energy to each message, William wanted it made clear for this message. “It is now time for humanity to truly open their Hearts as well as their eyes because there recently came an immense energy wave that is now creating palpable change in our reality. The energy wave will continue to move in synchronous rhythm with the Gaia from now until the end of September. A flow of positive change is now on the brink of breaking through the darkness. Although our true Dawn came on 12/21/12, we are just now witnessing the effects of that moment. Change initially occurs slowly but as it gains momentum, it becomes an unstoppable force. Having almost reached a critical mass point, we cannot stop now. We must feed the flow with Loving thoughts, Loving words and Loving deeds. It is vital now to not fall prey to fear. I will continue to offer my energy and assistance to any and All whom request it. Specifically, I assist in releasing detrimental energy from the physical layer of the Heart. Blessed Be You Are.